The Mexican government is rejecting recent criticism of its human rights record, but its citizens welcome it as necessary to hold the government to account on its international rights commitments. Juan Méndez, the UN Special Rapporteur on Torture (and Professor of Human Rights Law at American University) released a scathing report on Mexico last month, revealing that torture continues to be “widespread” and occurs at every level of government and in every security agency. Mexico’s Foreign Ministry vociferously challenged the report and indulged in ad hominem attacks against Méndez, branding him “unprofessional and unethical.” According to Méndez, the Mexican government had pressured him to tone down the report’s findings, but he refused because it proffered no evidence that the report was wrong. Mexico’s strategy of denying the obvious – the ubiquity of torture is well documented – has been a public relations disaster, according to human rights and international relations experts. It is rooted in a deep-seated historical aversion to outside prying. The cornerstone of Mexican foreign policy, the 1930 “Estrada Doctrine,” has meant abstaining from passing judgment on other governments – and Mexico expects the same in return. Though Mexico is signatory to a number of international rights protocols (including the Convention on Torture), the Méndez kerfuffle seems to betray an atavistic revulsion to external scrutiny. Ordinary Mexicans, however, do not toe the government line on sovereignty. They reject the notion that rights are conduits for foreign interests, view international organizations favorably, and welcome international oversight – particularly if it’s not from the United States. The Centro de Investigación y Docencia Económicas (CIDE) in Mexico (in The Americas and the World and the University of Minnesota (Human Rights Perceptions Polls) teamed up last year to probe Mexicans’ views on human rights. Asked “[h]ow much does promoting U.S. interests have to do with what you understand human rights to be?” Mexicans averaged just 3.0 on a 1-7 scale (anything under 4 indicates disagreement and anything over, agreement). 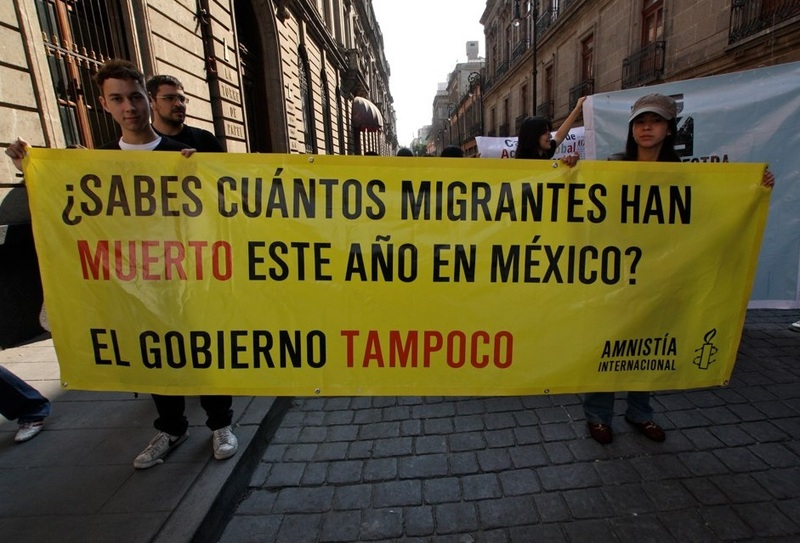 Mexicans also reject the notion that human rights “spread foreign values” (3.2). In contrast, they strongly support the idea that rights “protect against torture and murder” (5.5). Mexicans view international organizations favorably, awarding the United Nations and Amnesty International scores of 65 and 60 (out of 100), respectively – the two highest ratings of all organizations evaluated. And 50% of the public said UN supervision would “help the human rights situation” (36% felt it wouldn’t), while 48% viewed monitoring by the Inter-American Court of Human Rights favorably (35%, unfavorably). Mexicans split over U.S. supervision: just 43% said it would help, compared to 46% who said it wouldn’t. Nonetheless, that 43% are willing to accept U.S. oversight is perhaps a measure of just how bad things have gotten. While a “multilateral turn” is occurring among its citizens, the Mexican government can’t seem to break free from the old isolationism, with serious implications for the country. The horrifying rights situation dominates international perceptions of Mexico and, along with persistent high-level corruption, threatens to derail President Peña Nieto’s reform agenda, scaring off risk-averse potential foreign investors and weakening his hand domestically with Congress and the public at large. To reverse these trends, Mexico must make strides, quickly, to improve observance of rights. International pressure – “naming and shaming” of rights violators – is a key ingredient. As its citizens have done, the Mexican government must embrace, not shun, international involvement. *David Crow is an Assistant Professor in the International Studies Division of the Centro de Investigación y Docencia Económicas (CIDE, Mexico City).